The stock was the top gainer on Sensex, Nifty today. It rose 6.73% to an intra day high of 171.25 level on the BSE. On Nifty, the stock rose 4.02% to trade at 166.90 level. 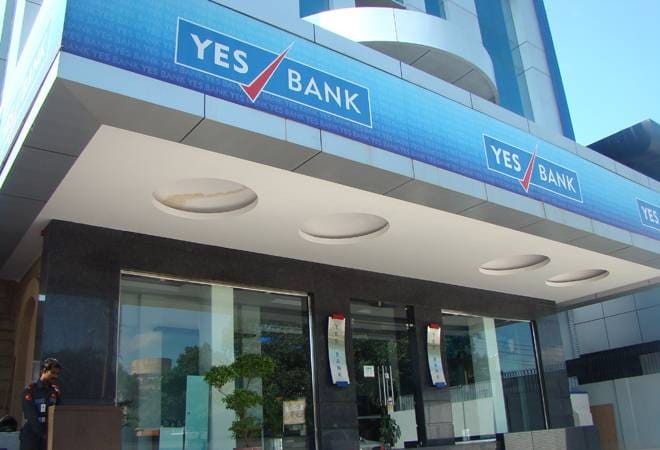 The YES Bank stock rose in trade today amid reports that the private sector lender's Managing Director and CEO Rana Kapoor was unlikely to be in the fray for the post of chairman which fell vacant following the resignation of Ashok Chawla earlier this month. The stock has gained after five days of consecutive fall. It opened with a gain of 2.52% at 164.50 compared to its previous close of 160.45 on the BSE. The stock was the top gainer on Sensex, Nifty today. It rose 6.73% to an intra day high of 171.25 level and closed 5.73% higher to 169.65 on the BSE. On Nifty, the stock rose 4.02% to trade at 166.90 level. It closed 6.26% higher at 170.50 on Nifty. The stock has lost 14.50% during the last one week and fallen 46.83% since the beginning of this year. During the last one year, it fell 45.40%. RBI has restricted Rana Kapoor's term as CEO and MD of the bank beyond January 31 next year.Since Kapoor still remains the head of the bank until January 2019, the possibility of him proposing for the chairman post looks bleak. Chawla, a former bureaucrat, had resigned from the post of non-executive chairman after his name appeared in a CBI chargesheet in the Aircel-Maxis case. The private sector lender will recommend the name of new chairman for approval by the RBI after the meetings of the Nomination and Remuneration Committee (N&RC) and the board of directors scheduled for December 13. The bank has seen the exit of three independent board members, including Chawla, in November. Rentala Chandrashekhar, former telecom secretary, and Vasant Gujarathi were the two others members who quit the board. Also, one new member-Uttam Prakash Agarwal-has joined the board, taking the current strength to seven. Three ratings agencies have downgraded the ratings of the lender citing poor corporate governance after three independent board members resigned from their posts. Moody's Investors Service downgraded the private lender's ratings and changed the outlook for the bank to negative on Tuesday. CARE too has downgraded the domestic ratings of Senior Debt Instruments to CARE AA +from CARE AAA and Subordinate Debt Instruments to CARE AA from CARE AA+. The ratings remain on credit watch with developing implications. Moody's domestic arm Icra too took a similar action, downgrading YES Bank's long-term ratings. "The rating downgrade considers the series of resignations from the board of directors, which raises concerns on corporate governance at the bank," Icra said in a note. The agency also warned of further downgrades if there are adverse developments on any of the above factors and added stability in deposit base is a key monitorable. YES Bank's Search and Selection Committee (SSC) and the Nomination and Remuneration Committee (N&RC) are scheduled to meet on December 12 to discuss the final shortlist for new MD and CEO appointment as Kapoor cannot continue beyond January 31, 2019, as the RBI earlier in September declined to give him extension beyond this period. It is also learnt that the bank will suggest the name of candidates for the MD and CEO post to the RBI by mid-December.